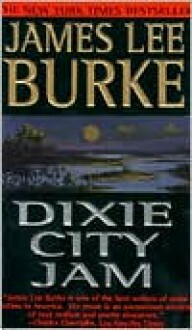 JAMES LEE BURKE'S BLOCKBUSTER BESTSELLER AT A NEW LOW PRICE! DIXIE CITY JAMRead by Will Patton They're out there, under the salt -- the bodies of German seamen who used to lie in wait at the mouth of the Mississippi for unescorted American tankers sailing from the oil refineries of Baton Rouge out into the Gulf of Mexico. As a child, Dave Robicheaux had been haunted by the sailors' images. Years later, Robicheaux, a detective with the New Iberia sheriff's office, finds himself and his family at serious risk, stalked for his knowledge of a watery burial ground by a mysterious man named Will Buchalter -- a man who believes that the Holocaust was one big hoax.